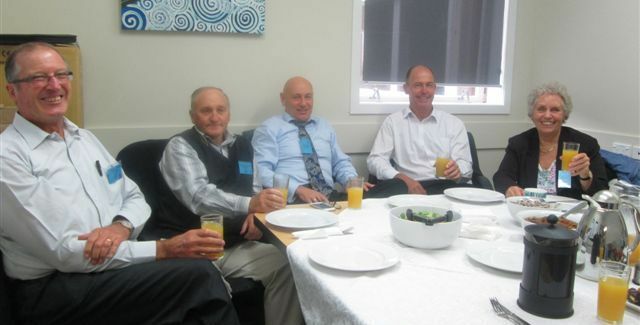 In April each year, a few 'serious business people' turn up by appointment at Aotea College. It is part of their mission to excite young people about the working world. In partnership with Partners Porirua and Aotea College, this mock interview project has been running intermittently since 2008. Plimmerton Rotarians volunteer their experience to be interviewers for over 60 student interviewees. The programme is part of a 10-week citizenship course provided for year 11 students. Its purpose is to give students the experience and opportunity to introduce themselves and share information about their interests and aspirations. Talking to a stranger who asks questions of them, is definitely out of some students’ comfort zone, while for others it is a real buzz! With the job market so tight opinions were expressed that students needed to be realistic about their goals and very focused on what steps they needed to take to reach them. This included considering where they want to go, what they are interested in and what they can offer a future employer. Despite the age difference between interviewers and interviewed, mention is made of the still relevant procedures for a successful interview: voice, dress, manner, etiquette, timeliness and attitude. If you would like to become involved and take part in this project, please contact us. Original generation time 1.3335 seconds. Cache Loaded in: 0.0005 seconds.